Choosing the perfect collection of plants for your window boxes can be an overwhelming decision, one made even more complicated when that window box is in a full sun location. Planting window boxes that will really pop means choosing plants that can handle the conditions where they’re to be placed, instead of trying to force delicate plants to try to adapt to a less than ideal environment. Before you load up your window box, however, you should ensure that it is installed with heavy duty brackets that can support the weight of water and soil, which can be quite impressive. 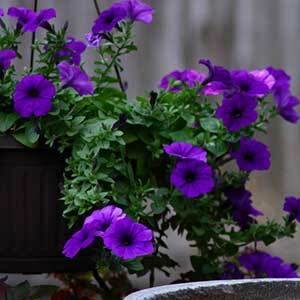 Read on to learn more about choosing the perfect full sun garden plants for your window box. 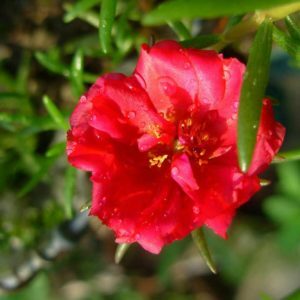 Delicate, crepe-like flowers aren’t normally the first thing that comes to mind when you think of sun-loving plants, but moss rose takes the prize for toughest little dainty flower. The succulent foliage, cascading form and multicolor flowers add a lot to a sunny planting. Who said you have to leave the herbs and veggies in the garden? Window boxes are a great place for both herbs and small vegetable plants, including ever-fragrant basils. Most have an upright habit plus gorgeous (and delicious) glossy leaves. Basil does tend to attract bumblebees, however, so the bee-adverse should be(e) careful. The cute, constant blooms of the signet marigold also do double duty as edible flowers, giving you another way to make your salad more “wow.” They appear in yellow, orange, gold and bi-color varieties and can bloom until fall, giving you a beautiful background to set behind something special or a wall of color that speaks for itself. Growing morning glory means preparing yourself for a massive cascade of leaves and blooms as the season goes on. 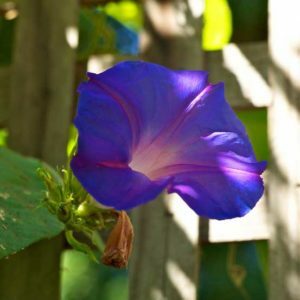 Erupting like a gentle wave out of a window box and pouring down to the ground, morning glories can add movement to your garden, or you can train them from their first appearance to climb up a trellis or textured wall to create a massive and cool background. The dramatic daisy-like flowers of the ice plant shimmer like frozen petals atop a mat of succulent evergreen foliage when planted in full sun. 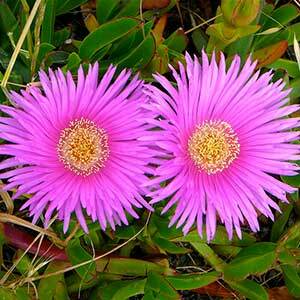 Although generally thought of as a ground cover, ice plant is a window box winner. 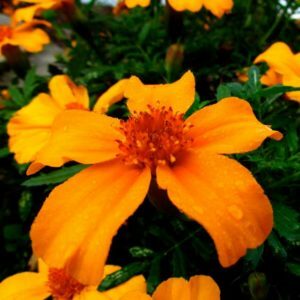 Its spreading habit and bright petals surrounding a white to yellow center are great for introducing color to otherwise drab areas. Petunias are a container garden mainstay, but their cousins the million bells are just as deserving of window box glory. These small mounding plants bear masses of tiny, petunia-like flowers non-stop, keeping your window boxes full of fresh color all season long. Placing a window box in a full sun area is a high stakes game. The intense heat that can come from the sun added to the head that radiates back from your home’s siding can quickly dry out tender window box plants, making it difficult to keep them alive without frequent watering. If you live in a particularly dry area, it might be smart to add a window box reservoir that can dole out water and reduce the need for hand watering. If you’d prefer to use the full depth of your window box for soil instead of reducing it with a reservoir, a drip irrigation system could be the ticket. They come with a lot of parts, but they’re surprisingly easy to install and adjust to give your plants the water they need, spread out throughout the day. Programmable timers will allow you to choose when to irrigate and how much, so you can give plants exactly what they need. 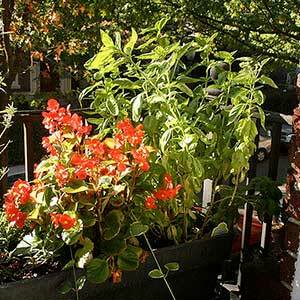 This article is a great place to get started with drip irrigation systems for window boxes.